Commercial rooftop systems: 10 kilowatts to 2 megawatts have a separate price range. These estimates are for installations not using the “Plug & Play” ConnectDER, which saves labor and time. Cost estimates for 3-5 kilowatt systems. 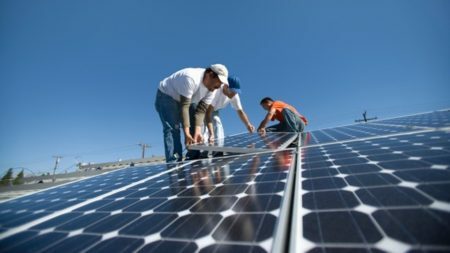 Rural Energy for America Program (REAP) grants, available to qualified Nebraska farms and rural small businesses, provide an additional 25% of the cost of a solar electric system. For more information about REAP grants, contact Jeff Carpenter, State Energy Coordinator at the Nebraska USDA Rural Development State Office, Suite 308, Federal Building, 100 Centennial Mall North, Lincoln, Nebraska 68508. The average household uses about 1000 kilowatt-hours (kWh) of electricity each month. Check your electric bills over the past 12 months to find out how many kilowatt-hours your home or business is currently consuming. 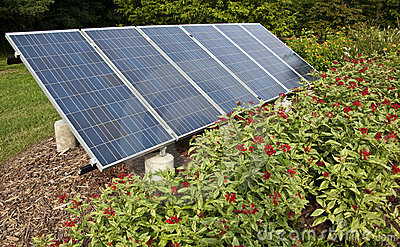 Conserving energy saves money and, of course, reduces the size solar system you will need. 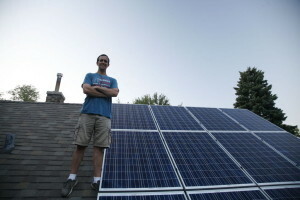 Nebraskans for Solar board member Eric Williams’ 3-kilowatt system, shown above, produces about 50% of the electricity used by his energy-efficient home and electric car. 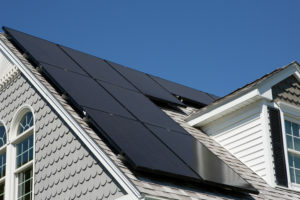 The solar panels are warranted by the manufacturer to last for 25 years. This is an excellent guide written with do-it-yourselfers in mind. 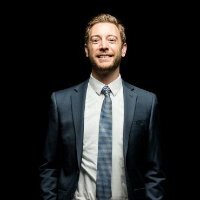 The author, Joseph O’Connor, is a solar manufacturing entrepreneur as well as a consultant, speaker, and prolific writer on solar energy. Now in its eleventh edition, this book provides a step-by-step guide on how to successfully design and install a solar energy system from scratch. The website that accompanies the book includes online solar calculators and tools to simplify a solar installation. 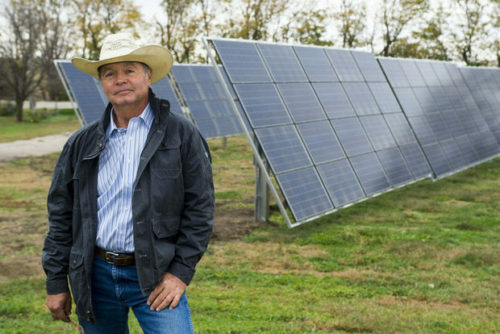 Michael Boxwell is a leading expert on solar energy, authoring more than twenty books in the field, which he first started working in twenty years ago. How much is a solar electric system? A solar electric or photovoltaic (PV) system typically costs $1 to $1.50 per watt, depending on the brand name. This includes solar panels, inverter and racking. South-facing, fixed-PV systems: $375 for each kilowatt of the system’s nameplate DC capacity. Where can you buy solar systems in Nebraska? Van Meter, an employee-owned electrical supply company in Omaha at 10931 E Circle, sells solar energy equipment. Dixon Power Systems on 3250 N 20th Street in Lincoln and Solar Heat & Electric at 7342 Farnam Street in Omaha also sell everything a do-it-yourselfer needs to install a solar system at his or her home or business. There is an additional cost of paying an electrician to obtain the permit to install a solar system on your home or business. Solar installation classes at local community colleges. John Hay, Professor at UNL’s Biosystems Engineering Department with a focus on energy and Nebraska Extension Educator, teaches solar seminars and installation workshops at Extension Offices across Nebraska, which have been featured on our website and in our newsletters. Subscribe to our newsletter at nebraskansforsolar@gmail.com. Solar do-it-yourselfers, including Eric Williams, Nebraskans for Solar board member, and Don Preister, President of Green Bellevue, are also happy to answer questions from anyone considering going solar. You’ll see them both at Earth Day Omaha and Sarpy County Earth Day events and at solar energy workshops and forums. This entry was posted in Financing, Incentives, Installation, Nebraska / Midwest News, NewsBlog and tagged cost of going solar in Nebraska, Lincoln Electric System's capacity payments incentives, Nebraska Energy Office's low-interest loans for solar projects, Nebraskans for Solar, Nebraskans for Solar's Directory of Solar Businesses, Rural Energy for America Program (REAP) grants, Solar Do-It-Yourselfers on March 1, 2017 by Helen Deffenbacher. LINCOLN, Neb. – GRNE Solutions, a Midwest-based renewable energy provider, announced it has completed one of the largest privately owned commercial solar panel systems in the Lincoln, Nebraska area. GRNE and its partner, landowner JAX Properties, will sell electricity produced by the system back to the local electric company. Located at 1900 Saltillo Rd., the new system is the latest development in an advancing solar scene in the Lincoln area. The company has created a new division to administer its solar energy resources: GRNE Solar. In 2016, the company installed roughly 340kW of renewable energy across Lincoln and the Midwest. The systems varied in size from 5kW residential systems to the new 100kW commercial system. Read the entire release here. GRNE Solutions provides renewable energy for homes, commercial buildings and utilities through the use of photovoltaics and other renewable sources, including passive methods. GRNE’s patented Energy Column is a renewable energy system for generating self-sustaining electricity. The latest GRNE Solar project stands out, in part, because although residential and community solar projects are significantly increasing in number throughout the state, especially in the last several months, there are only a few commercial solar projects developed, so far. For example: Lincoln Electric System provided Dual Dynamics an incentive for the company’s south-facing system in the amount of $9,300 ($375 x 24.8kW) as a capacity payment, as soon as the project was commissioned. (See Solar Examples). This entry was posted in Incentives, Installation, Nebraska / Midwest News, NewsBlog and tagged GRNE Solutions, Lincoln Electric System, Nebraskans for Solar on February 6, 2017 by Helen Deffenbacher. “The Made in Minnesota program is helping drive growth in the state’s rooftop solar market,” says Commerce Commissioner Mike Rothman in a press release. “The program is boosting Minnesota’s clean energy economy by making solar more affordable, creating more clean energy jobs and diversifying the state’s energy resources.” Continue reading. 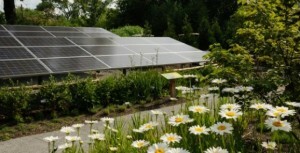 More information about the ten-year program, which Minnesota’s legislature established in 2013 to expand the state’s solar industry, is available here. This entry was posted in Incentives, Nebraska / Midwest News, NewsBlog and tagged economic returns on solar incentives, Made in Minnesota program, model states' solar incentives, Nebraskans for Solar, solar energy incentives, Solar Industry Magazine on December 30, 2016 by Helen Deffenbacher. The Database of State Incentives for Renewables & Efficiency (DSIRE) is the most comprehensive source of information on incentives and policies that support renewable energy and energy efficiency in the United States. Established in 1995, DSIRE is operated by the North Carolina Clean Energy Technology Center at North Carolina State University and is funded by the U.S. Department of Energy. 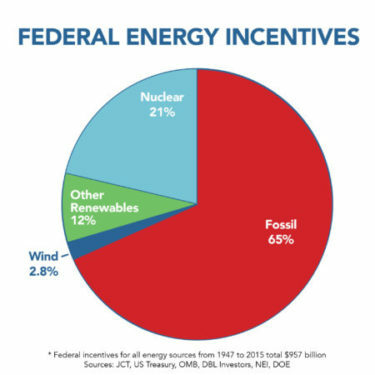 This entry was posted in Incentives, Nebraska / Midwest News, NewsBlog and tagged Database of State Incentives for Renewables & Efficiency (DSIRE), solar energy incentives for Nebraska on July 31, 2016 by Helen Deffenbacher.